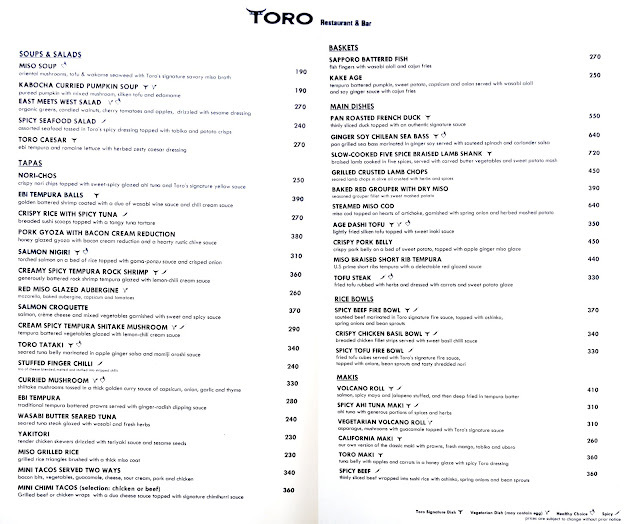 Toro Restaurant & Bar is a fusion restaurant of Japanese and Mexican cuisine located in the heart of Bonifacio Global City. A unique combination that would bring fusion cuisine to a whole new level of appreciation and experience. Conceptualized by the Genomal brothers (Vinnie, Nikhiel and Shwan), they partnered with renowned Chef Sau Del Rosario to bring their passion for great food to life. "Toro"- a Spanish word synonymous to "bull" that symbolizes strength and vibrance and at the same time a Japanese word that represents the delicate underbelly of tuna. 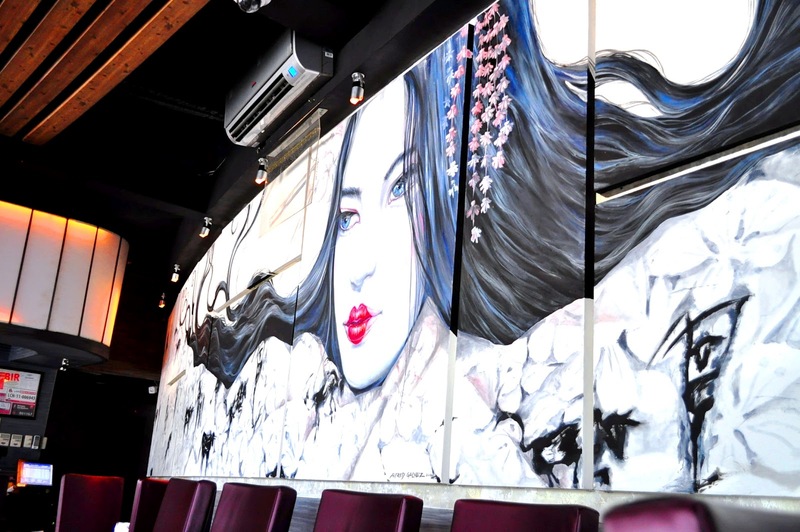 The famous Geisha Mural painted by Mr. Alfred Galvez that occupies one side of the walls gave a Japanese touch to the vintage Mexican designs of iron chandelier and wooden chairs. 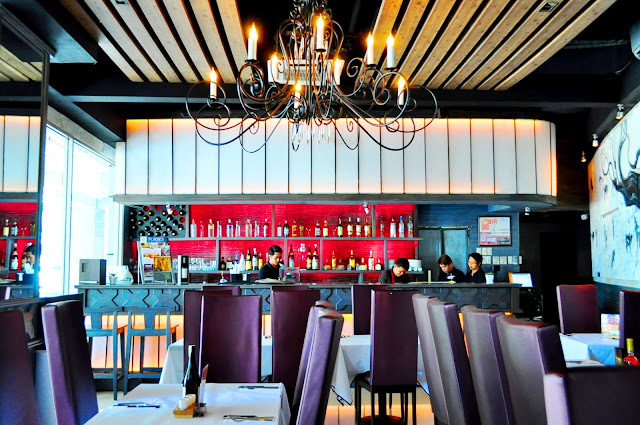 On Friday and Saturday nights, the lights in Toro dim with music that goes a little upbeat yet still manages to give a relaxed and cozy ambiance after a long day of work. 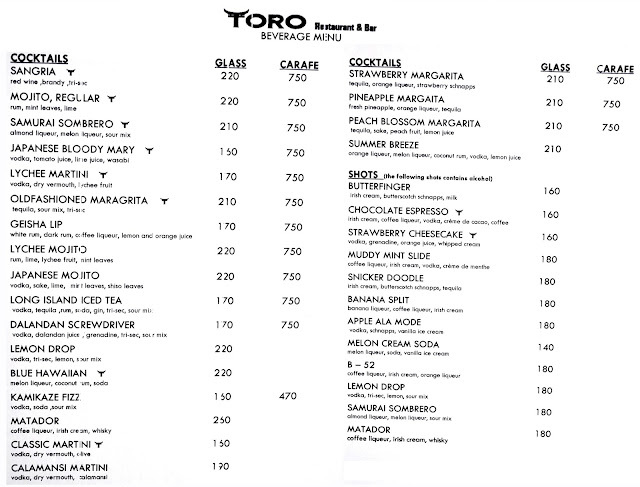 Help yourself with various specialty cocktails that Toro takes pride in. And if you're not much of an alcohol drinker, you may choose from their mocktails that are equally fun and thirst quenching. Three huge pieces of crunchy Ebi Tempura with one whole romaine lettuce sliced into half and drizzled with caesar dressing. I love how big the Ebi Tempura was with its crunchy batter coating. Stacked beautifully to resemble that of a volcano, the lava of salmon made this dish hot- Impressive, Exciting, Fresh and Spicy. We had fun munching on these nacho-like appetizers with fresh tuna slices in spiced up sauce and Toro's signature yellow dressing. It was just the perfect starter to go along with some cocktails or mocktails. Instead of the usual Japanese mayo placed on top of some maki, this one had guacamole on it. The cream cheese complemented the tuna slices and ebi tempura giving each bite full of flavors. Unit 6, G/F One McKinley Place, 4th Ave.
You're such a happy camper. It looks like it from the way you describe your experience and the glaring colors of your food. 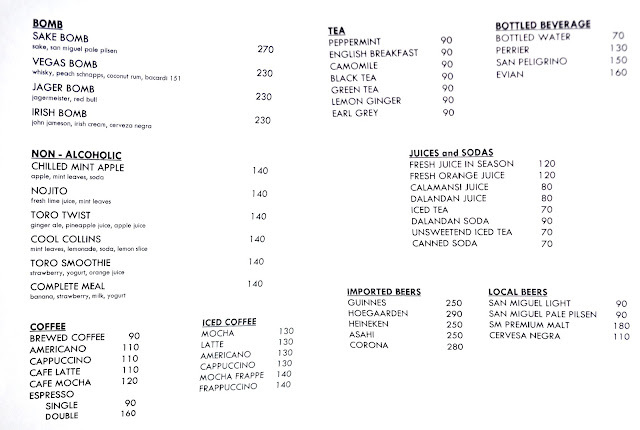 Never been in a resto that incorporates both Spanish and Japanese flavors. I'm jealous. 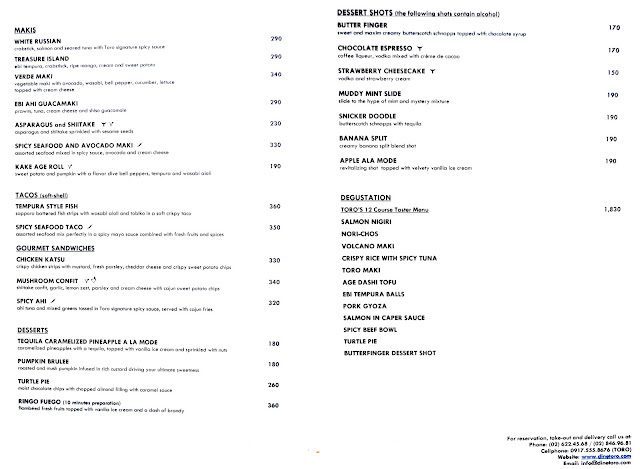 chilled apple mint looks refreshing:) the ambiance is good and the food looks yummy! 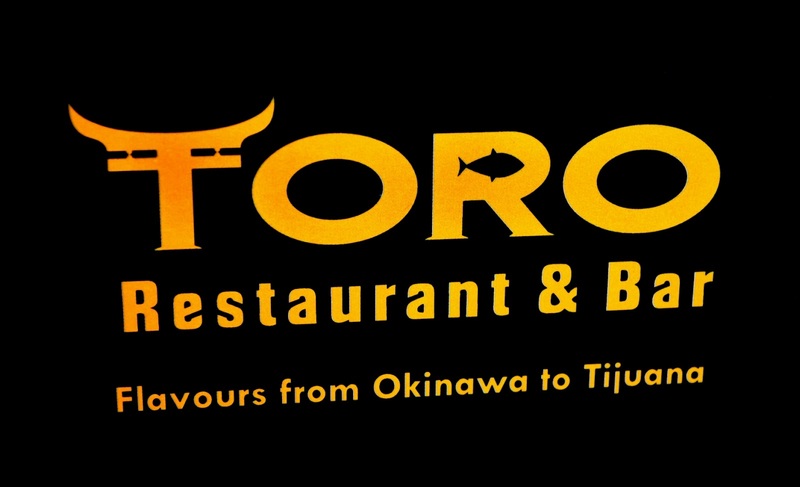 Wanna try Toro Smoothie and Ebi Ahi Guacamaki! RAPSA!!!!.. 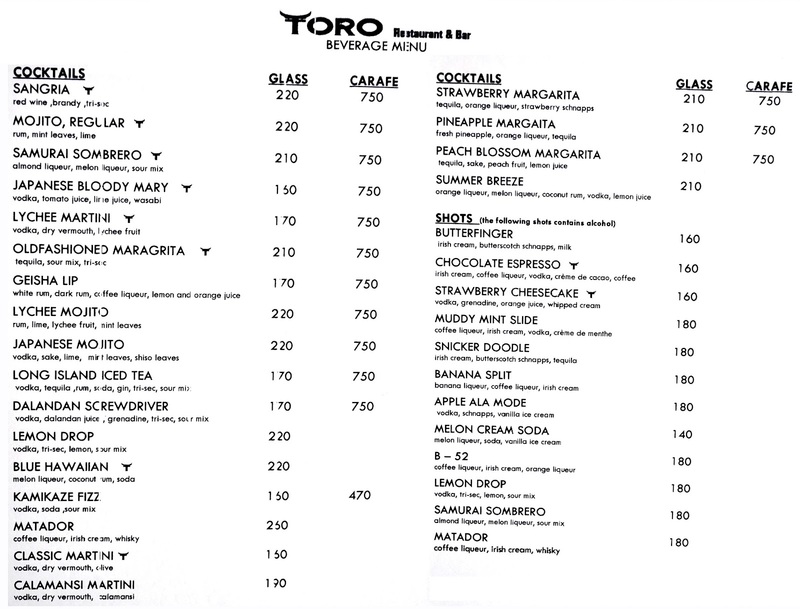 Does Toro and Torch (located at GH) have one and the same owner? Their food looks delicious by the way you take photos to it. Do they have high-chairs for toddlers if you recall? ang cute naman ng volcano maki . i really lie mint on my juice or hot tea. it added flavor to the drinks and food. smoothie is kinda expensive but worth a try. Toro offers a great ambiance and a one of a kind japanese-mexican fusion dishes! Nice place! 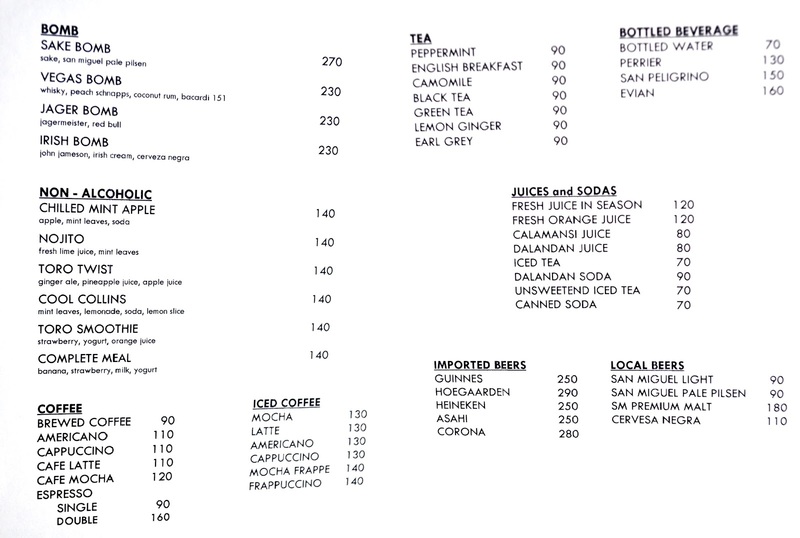 i want that fresh lime juice and mint leaves! thanks for sharing! That mural is gorgeous! Truly a work of art! Read about this place on Sumi's blog. Really want to go try it. The food looks so delicious! Japanese foods have always been my favorite. And that Guacamaki seems masarap!!! the volcano maki si tempting!yay!!! 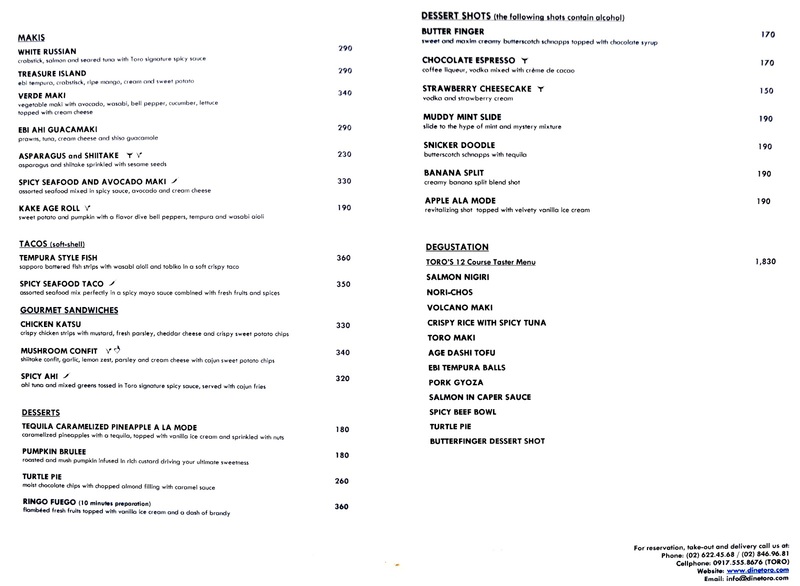 I'm curious with the mocktails. They look so appetizing to me. 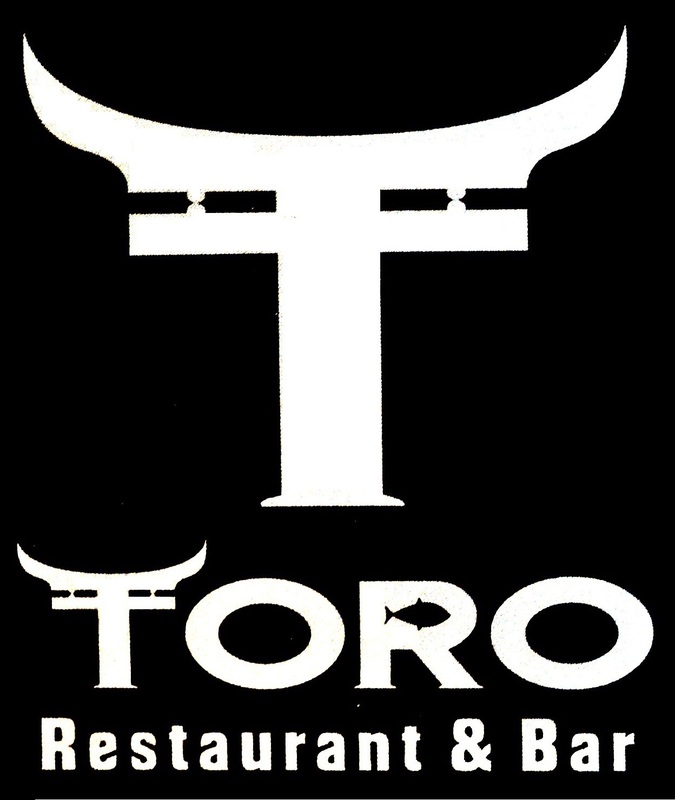 I've been wanting to try Toro for quite some time now! Nice pictures! :D They look yummy! btw, the volcano maki really caught my eye. i had to stare at the picture longer to really understand what it is. I love the mural too..it is so alive. Dishes looked appetizing too. 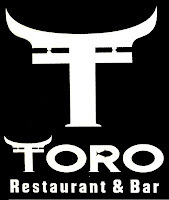 Hope to taste TORO's menu items soon. I would love to try the volcano maki--- looks so yummy!!! Nice! I like your pictures! I wish to try Ebi Ahi Guacamaki too!